Samsung has just announced two new portable media players, doubling its Wi-Fi-only Galaxy Player line-up to four devices and ensuring that just about every hand shape and size is catered for. 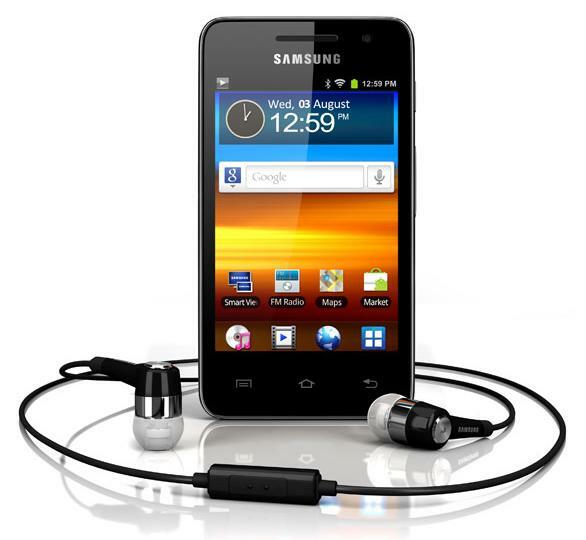 But don’t rule out the company introducing more sizes for the Galaxy Player in the future, of course. The latest additions are the Galaxy Player 3.6 and 4.2, which will sit alongside the existing 4.0 and 5.0 models that launched last October. Priced competitively, the Korean company will be hoping the new devices will be of interest to those in the market for Apple’s 3.5-inch iPod touch, a portable media player which has served the Cupertino company superbly over the years, selling some 60 million units since it first appeared on the scene in 2007. Of Samsung’s two new media players, the 3.65-inch device is available now for $149, undercutting the cheapest iPod touch model by $50. The unit is powered by Android 2.3 Gingerbread and a 1GHZ processor, comes with 8GB of storage though with its microSD slot this can be expanded to up to 32GB. It also comes with a 2-megapixel rear camera and front-facing VGA camera, Wi-Fi, Bluetooth, a built-in FM radio and GPS capabilities. The screen resolution — 480 x 320 — isn’t a patch on that of the iPod touch, with its 960 x 640 Retina display. The 4.2 model incorporates pretty much the same features as the 3.6 device. Its larger screen, with a 800 x 480 resolution, means a slightly higher price tag of $199. The 4.2 will be available from May 13. Both devices have access to the many thousands of Android apps available from Google Play. Samsung evidently feels there’s still a market out there for media players like these, but with the multitude of smartphones and various data plans available these days, don’t most people simply opt for a smartphone, which of course does everything a PMP does, and more? And of those who are interested in a PMP, the iPod touch — which incidentally could be in line for a refresh later this year — is an established and still powerful device, and retails for just $50 more than Samsung’s new 3.6 Galaxy Player, the model most similar to Apple’s PMP. Do you think Samsung is wasting its time with its Galaxy Player line-up or could it prove a winner for the electronics giant?